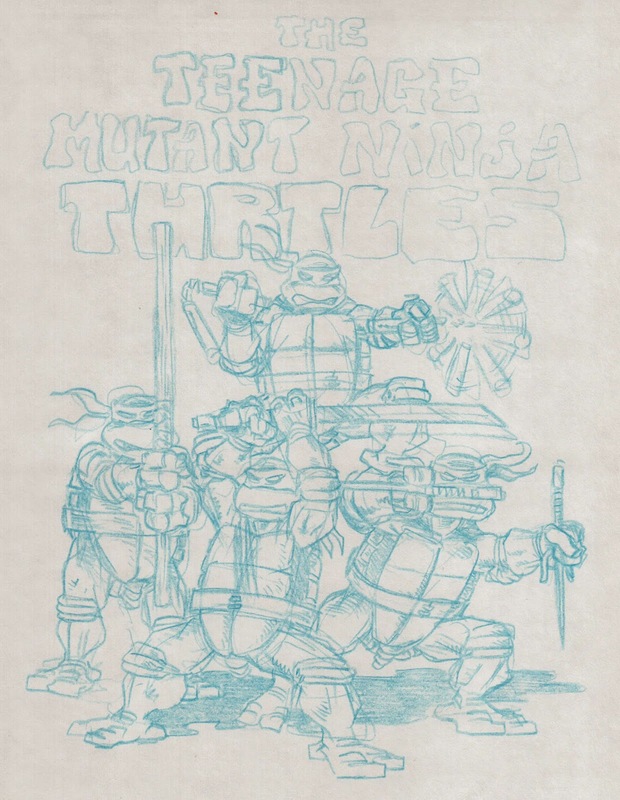 Peter Laird's TMNT blog: promo art by Laird and Eastman for "Turtle Power: The Definitive History of the Teenage Mutant Ninja Turtles"
Great art as usual. 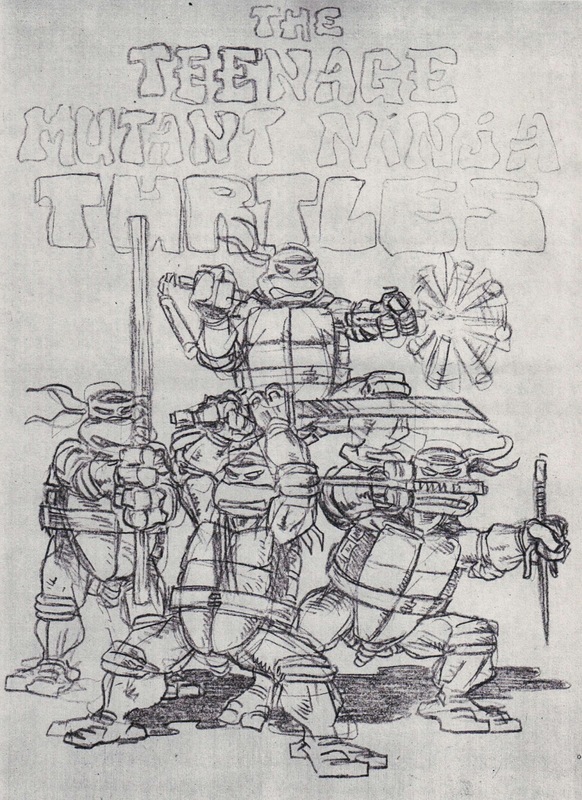 I love how you can see the original '83 reference points almost like a shadow in the new black and white image. Who came up with that original logo? I feel like I HAVE to comment on one of your remarks in this documentary, peter. when you said you were thinking about all the comments from people who didn't like or couldn't understand the vol 4 comics and you mused about that sometimes it just takes the magic that is between two people...(this is not at all a quote apperantly, just the way I remember it now)...please please please, don't EVER take criticism TOO much to the heart!if you could only grasp in one moment how much this vol 4 series means to a WHOLE LOT of people!...I understand though that you too cherrish the things you and kevin brought to the table TOGETHER.and it surely would be sweet as candy to see you getting together for some projects in the future!..still, the vol 4 comics are very special and I am so greatful for them being here.and being the way they are. 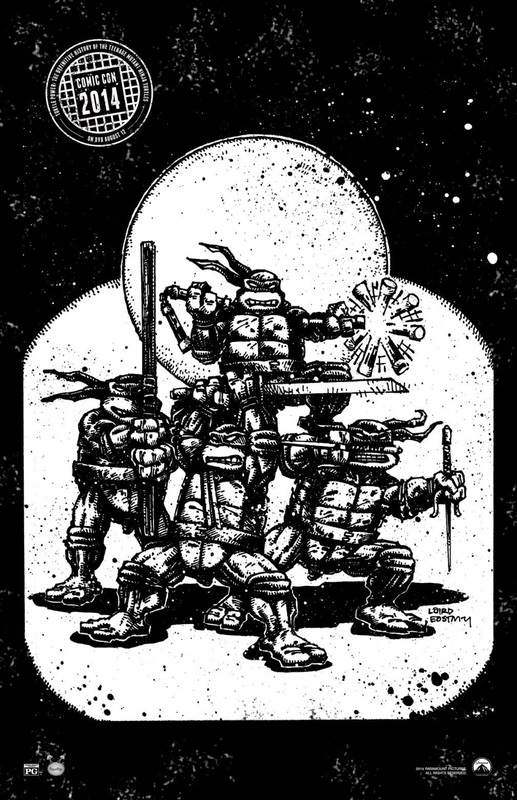 Mars, thank you very much for the kind words about TMNT Volume 4. I greatly appreciate the sentiments. roughly translated, the above post says "this is peter's blog? omg. thank you so much my friend, be sure to keep up with said blog! it's better than any other. hugs to you, my friend. what a thrill. goodbye"
Diego, thanks for the translation! I tried to do it with googletranslate, but got a fairly incomprehensible result. Looks awesome I wish I could come up and take lessons from Steve in coloring, my comic book class was canceled and I wont get to see my teacher again until Palmcon! My parents still haven't agreed to send me up yet and with school coming it wont happen until next year but fingers crossed. I can't wait to see the documentary, and I'm hoping these collaborations become more frequent you guys put our such great pieces. Turtle Power from the sunshine state! Nice to hear from you, Melanie! Bummer about your comic book class being cancelled, and that Florida is so far from Maine (otherwise, I'm sure Steve would love to have you as a student). 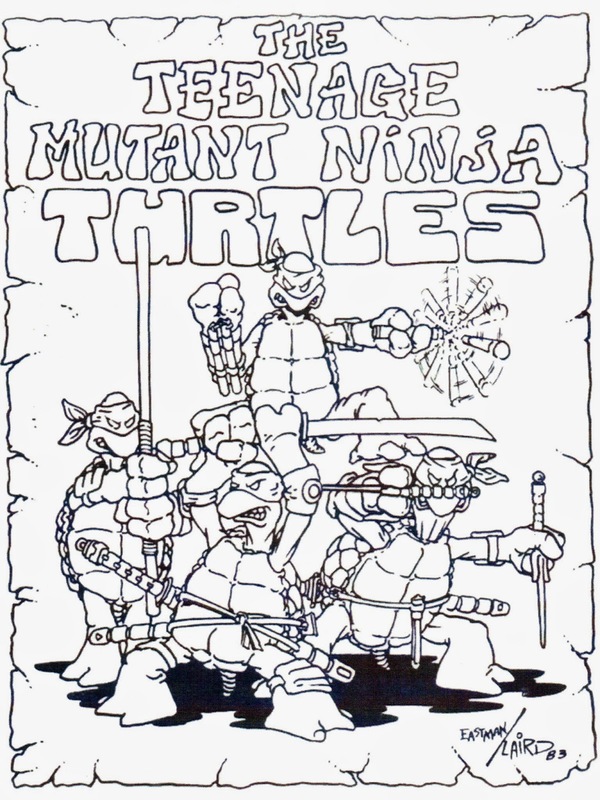 Although I have already seen a couple of different edits of the TMNT documentary, I am really looking forward to seeing the version which will be getting wide release. I suspect it will be great fun.